eeth first when they meet you for the first time. 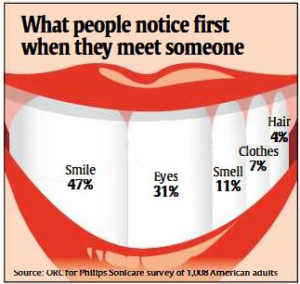 People also generally feel healthier and more confident with whiter teeth. You typically have two main options to lighten dark teeth. the process whereby a bleaching gel is held in contact with your tooth for a period of time. Your teeth will then lighten. You remain in control of the process as you can decide how long you use the gel for. This means you can decide how might your teeth go (within reason) and stop treatment should you encounter any sensitivity. You will be provided with custom made bleaching trays. These fit precisely over the top of your teeth. Each night you will need to place small amount of our prescribed bleaching gel into the trays, the trays then hold the bleaching gel in contact with your teeth ensuring that it does not come into contact with your sensitive gum area.Patients can often see their teeth lightening by many shades using this technique. A dental veneer is a thin covering of precision made high-strength dental ceramic. Veneers can either be made opague to block out the underlying teeth (if they are very dark) or translucent which tend to be more cosmetic and allow the light to pass through them making them look more natural, similar to your own teeth. In many cases dental veneers can be used to restore broken down teeth without having to remove any of the natural underlying tooth, much like dental bonding this makes them a very conservative option.There are however times when natural tooth structure needs to be removed in order to accept the new dental veneer. Once the veneer has been made by a highly skilled dental technician it will be bonded to your tooth using a light cured material.It normally takes approximately 2 weeks for a new veneer to be made by the dental technician. Find out if dental veneers can help whiten your teeth. Request an appointment now EH Dental Care is a private and NHS dental practice in Edinburgh offering a range of treatments to help the local people have healthy teeth and more attractive smiles.